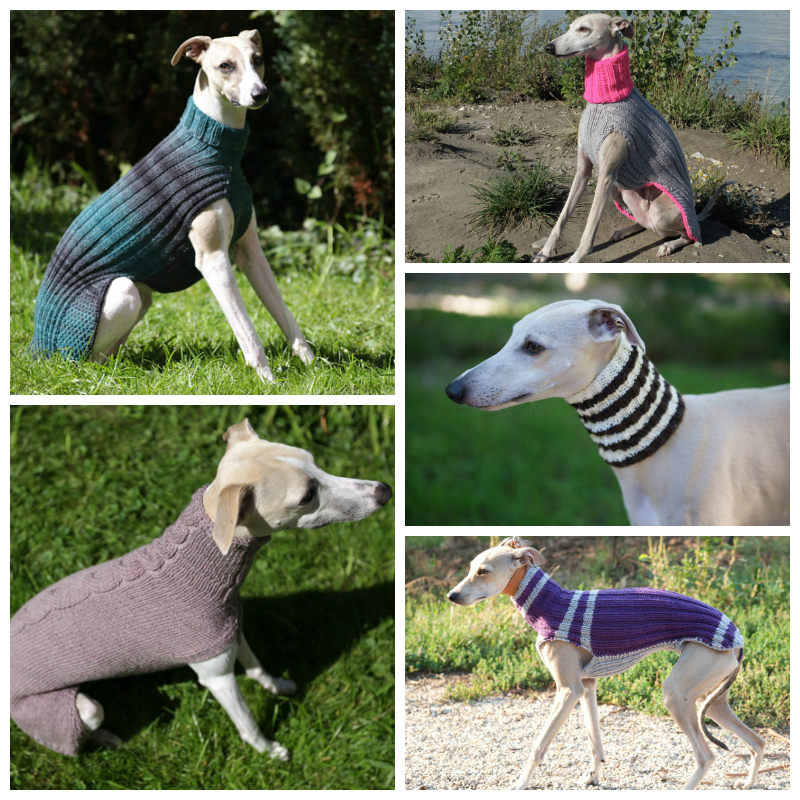 Good Wit Knit is wielding the knitting needles to keep (wo)man's best friend comfortably warm with cozy merino wool knits, providing customizable snoods and sweaters for Whippets, Italian Greyhounds and other Sighthounds. some would see and think it stupid i know, but for these kind of dogs who have health risk i think it's super cute and well though. I don't find this strange or stupid at all - some breeds need a little extra warmth, so this is a great solution! What I personally can't stand is when dogs are dressed in funny costumes - that's so ridiculous when they wear tutu's or cowboy hats! Obviously your dog likes his scarf :-) though it's funny to hear even your cat appreciates a collar as they are usually not very cooperative when it comes to wearing anything.